Citation: C N Trueman "Spitfire Funds"
TheSupermarine Spitfire came to symbolise the resolve ofFighterCommandduring theBattle of Britain and the aeroplane, designed byReginald Mitchell, is forever associated with the battle – probably much to the chagrin of the pilots who flew theHawker Hurricane, designed bySidney Camm, and to military historians who know that the majority of sorties during the battle made by Fighter Command were made in Hurricanes and the majority of ‘kills’ were made by the same aircraft. 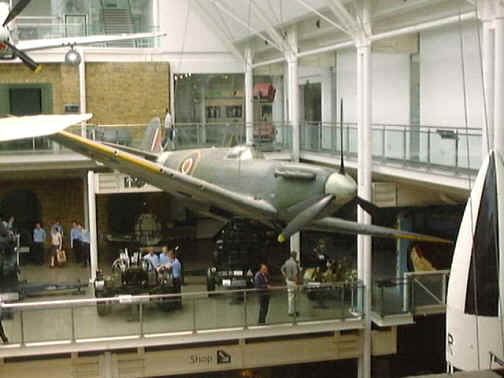 However, it was the Spitfire that became the ‘glamour’ aeroplane of the battle. Even into the 1970’s the same held true. In the highly popular World War Two comedy series ‘Dad’s Army’ the Home Guard of ‘Walmington-on-Sea’ on two occasions participated in events to raise money for a Spitfire – and not a Hurricane! In 1940, ‘Spitfire Funds’ became the norm. The amounts collected ranged from just pennies to thousands of pounds. Garfield Weston, the MP for Macclesfield, presented £100,000 to the Spitfire Fund. The Nizam of Hyderabad donated so much that 152 (Hyderabad) Squadron was named in his honour. Community events were staged to raise whatever could be spared in a household. In Brighton, £400 was raised during a specially staged dog-race meeting. Lord Beaverbrook pushed for the idea to go nationwide. The reward for raising money was to have your name (personal or company) or a caption written in letters four inches high in yellow paint on the fuselage. Not only did these local events do a great deal to raise money, they also served another important purpose – they made people feel as if they were actually doing something for the war effort. Spitfires could be named after a town that had raised sufficient money to buy one. Business concerns were allowed to raise money for a Spitfire that could then be used to advertise those businesses. Banks proved adept at doing this. Fighter Command got the aircraft while the business got the necessary publicity it craved. No-one lost out. The Commonwealth as a whole played its part. The Gold Coast raised £25,000 that paid for five Spitfires. Such a sum of money was very large for such a poor country. – £25,000 in 1940 would be worth nearly £4 million in 2010. However, just as people in Britain wanted to feel as if they were doing something for the war effort, the same was true in the Commonwealth as a whole. A similar system was used for other aircraft used by the RAF but there were more “presentation” Spitfires than any other aircraft used by the RAF. No one is quite sure how many “presentation” Spitfires were built but the figure is thought to be around 1500 aircraft.